A species of rhino considered a giant of the Ice Age survived much later than previously thought and likely lived alongside modern humans. Elasmotherium, also known as the Giant Rhinoceros or the Giant Siberian Unicorn, is an extinct species of rhino that lived in the Eurasian area in the Late Pliocene and Pleistocene eras. The ancient rhino species Elasmotherium sibiricum, known as the ‘Siberian unicorn’, due to its extraordinary single horn, went extinct between 200,000 and 100,000 years ago. 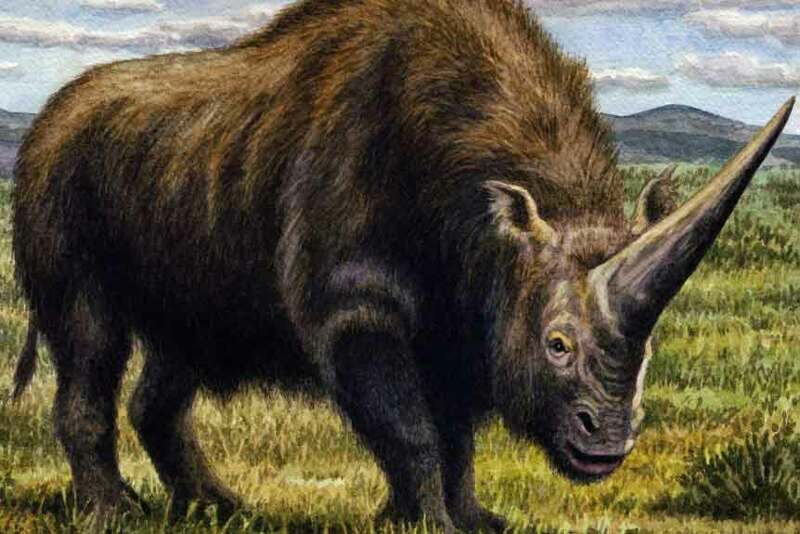 In a new study by the National History Museum in collaboration with Oxford University suggests that the Giant Rhinoceros species survived until at least 39,000 years ago. Means, they overlapped in time with the existence of modern humans. It has for some time been accepted that this awesome brute went wiped out well before the last Ice Age. Its vanishing going before the large-scale megafauna extinction which saw the finish of the wooly mammoth, Irish elk and saber-toothed feline, be that as it may, another examination has tested the date of this animals destruction. The study illustrates perfectly how test readiness is an urgent advance in the radiocarbon dating process especially when ancient rarities have been intensely covered with preservation materials. Moreover, the study also revealed that ‘Siberian unicorn’ was most likely grazing on tough, dry grasses.